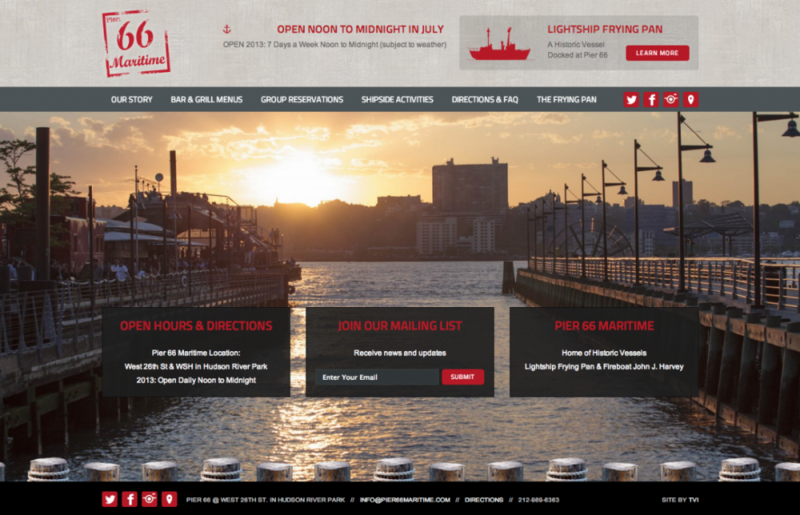 Pier 66 Maritime is an outdoor restaurant and venue located on the West Side of Manhattan that operates during the warmer months. It permanently resides on a floating barge and is also home to the Frying Pan Lightship. Key parts of this project included making menus more accessible and easy to read, providing access to historical information, as well as making it simple for customers to book a group reservation.